If there is a disease outbreak, one of the best ways to keep up with the latest news is to use Twitter. By following the right accounts, organizing who you follow into lists, using hashtags, and searching efficiently, you can create a page that will aggregate all of the latest news. For background on using social media, check out our articles on Twitter and Facebook, as well as our podcast on using social media for continuing education. Why Use Social Media to Track Disease Outbreaks? Using social media to track disease outbreaks is a more efficient alternative to relying on news outlets or producer and veterinary organizations. Using social media streamlines your research process and gets you information more quickly. If you are currently tracking various news sites, looking for update newsletters in your inbox, and looking to veterinary and producer groups for information, you can do all of that in one place, with the updates and information coming to you in real time. For simplicity’s sake, we will use “avian influenza” as the example disease to track using social media. After you have followed the sites you currently visit, search within Twitter for the disease to find accounts that are currently sharing news and updates about the disease outbreak. Top – These are the most popular results, which have the most shares, likes, etc, or are tweeted by the most popular/verified accounts. Live – Like it sounds, these are real-time results. 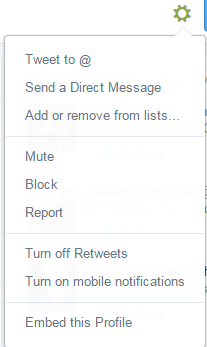 These can be useful when tracking a disease outbreak, but these results will also contain spam accounts. Accounts – These are accounts rather than Tweets. This is a useful tab if you’re searching for something more broad like “Poultry Medicine” or “Horse Health”, but not usually when searching for a disease. Under “More Options,” the most useful options are to search by Location (in case you are looking for a disease happening near you), and to only show results from people you follow. Looking through these results will help you find accounts that are trustworthy and reporting on the most timely information for avian influenza. You can then follow these accounts, or organize them into a list, to follow the disease outbreak. If you are using your Twitter account to follow accounts that cover multiple areas and not just disease outbreaks, you can organize who you follow into lists when a disease outbreak happens. The first thing you want to do is figure out what accounts you want on your “Disease Outbreak” list. If you are trying to follow an avian influenza outbreak, you’ll have different accounts on the list than if you are following an equine strangles outbreak. If you want this to be a list that only you will use, make sure to mark it Private, and then give it a Name, such as Avian Influenza Outbreak April 2015. The description is optional. After you have added this in, click “Save list”. 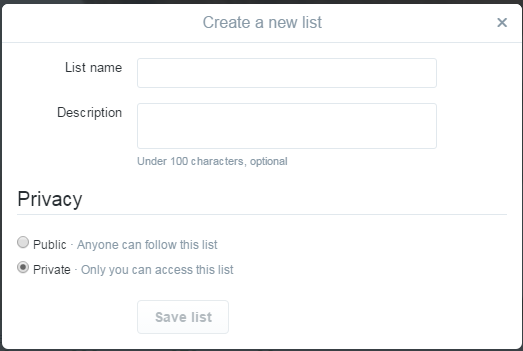 You can add people to your list by searching for them in the Search box on this page, or going through the list of people you follow and adding them to the list. You will then get the option of which List to add the account to, and can build your list to use during disease outbreaks. By searching for hashtags that have been used, or that you think will be used. If you are reading through your news feed and see an interesting Tweet about avian influenza, click on the hashtag attached to that Tweet, whether it’s an obvious one like #avianinfluenza or #h5n1, or not-so-obvious hashtags, like #poultryhealth #AI #birdflu, etc. When you click on one of these hashtags, you will see all results in real time. If you wish to instead search for a hashtag, simply enter it into the Search Bar, and look at either the “Top” results or the “Live” results. By finding and following the right accounts, organizing the accounts you follow into lists, and then utilizing hashtags, you will be able to use Twitter to keep on top of disease outbreaks in a quicker and simpler way than using Google, scanning news sites, or waiting for newsletters or emails to come in from veterinary/producer organizations and colleagues. 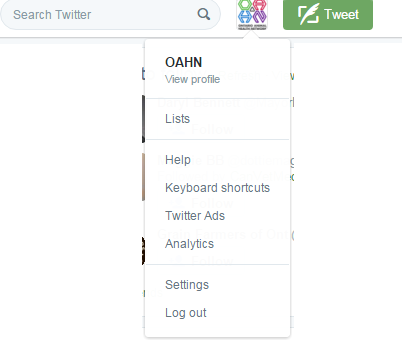 Another great way is to follow the OAHN Twitter account, where we employ many of the same techniques listed here, and Tweet out the most valuable and reliable information available.